WordPress translation Plugins for making a multilingual website. Are you running a business worldwide? And your website is in only one language? Have you not used any WordPress translation Plugins? Are you looking for a WordPress language translation plugin? Then you should use the power of WordPress language translation plugins to provide the knowledge to the people in their desired language. If you are already running a website on WordPress, then there are many Plugins available which can help to get your website translated in as many languages as possible. You can use the excellent features of WordPress to serve the world’s users with their mother tongue. There are many websites out there on the internet which provides information in Multilanguage’s. And if you are using WordPress then it becomes a lot easier to make a Multilingual Website. SO…..
Start your Blog with WordPress. Blogspot Vs. WordPress – Which one to choose? WordPress users know that it is a lot easier to translate any language into the desired language using the WordPress translation Plugins. There are millions of Plugins available on the internet which can make your work much easier. Here I will be sharing some best Language translator plugins; there are some I have already used. Plugins and themes from MyThemeShop have always been my first choice, and even, this time, I will recommend you to use the My WP Translate plugin from MyThemeShop. It is one of the best and free used plugins. This is mostly used when you have a wider range of audience, a global audience. It will not only translate your content, but also it will translate the plugins, and also offer multi-lingual searches. They also provide a paid plugin with the name “Wp Google Translate” it has some more amazing features than the ordinary one and translates your content into more than 80 languages. Is free as well a premium plugin which mainly focuses on multilingual tools. By using it, you can manually translate pages, categories, tags, and posts as well as widgets. You can add single or multiple languages to your WordPress blog or WordPress website with the combination of locales, language name and also with the country flags. Is compatible with SEO Plugins like All in one SEO and SEO by Yoast. One can change the language from the front end of the website. Provides drop-down menus with customizable features. You can also check out a tutorial about it A Quick Start Guide. Lingotek Translation plugin uses the cloud-based local translation and localization system that provides machine-based translations and also sometimes by human translators. Some of its features include professional, community and machine translation and enable us to deliver the brand in your consumer abroad in the easiest and quickest way. Why go for the Lingotek Translation? The translation is much faster. The admin’s interface is multilingual as well, and each user can use the dashboard in their language. The WordPress language packs are updated and download automatically. Customizer switcher is provided in the nav menu or as a widget. It can also translate pages, posts, categories, media, menu’s, widgets and tags. The Ceceppa Multilingua plugin was developed by Alessandro Senese to help WordPress users for managing a full Multilanguage website. This Plugin also contributes to writing pages and posts in the multiple languages. You can edit the content and translate it from one page only. Provides different post and pages for each language, so that you can use different URL and do different SEO for each page. It can easily translate your whole theme. Single click between the languages and the translations. You can set different menus for each language. The plugin can also be used for the custom type posts. There is the availability of group/ungroup comments for each language used. It is also compatible with SEO by Yoast, All in one SEO and Google XML Sitemaps. Polylang is another among WordPress Language translators which is one of the best and helps to create a multilingual as well as bilingual WordPress site. It can also be used with the Lingotek translation Add-on which I already have mentioned in the above list. It can support up to 41 languages as well. Helps you to use as many languages as you can. All the RTL scripts of languages are supported. It has many of the features like Lingotek Translation Plugin. The language code can set the language in the URL or by the content itself. It allows the detection of language which helps in setting the language via URL code or manually. The GTS Translation plugin is mostly popular among the authors of the site and helps them to get more traffic to their website using the linguistic features. It also uses a feature called crowdsourcing which helps in quality human translation and combines automatic translation with human post-editing. While using the GTS plugin, the translated content is cached in WordPress database and is easily indexed by search engines which helps to grow your international readership and also improves the website traffic. The Plugin claims for increasing the website traffic by 30% after two months. It uses its private and secure translation server. Another impressive feature is that translated post can be retweeted easily. One of the best WordPress Translator, It supports 103 languages, and the plugin claims that you can reach 99% of the internet users by using it. It is one of the oldest Plugin and is used by 500,000 websites worldwide because it was developed in the year 2008. Have an automatic translation feature. Best known for Mouse over effect. Its best feature is that it translates the site on the fly. The author of the translator Remy B Claims, the plugin to be the best and easiest translation plugin for WordPress. It also aims to provide a dashboard with the translated interface. Works with every Plugin and theme. More than 60+ languages for available for translation. The language switch button is customizable. 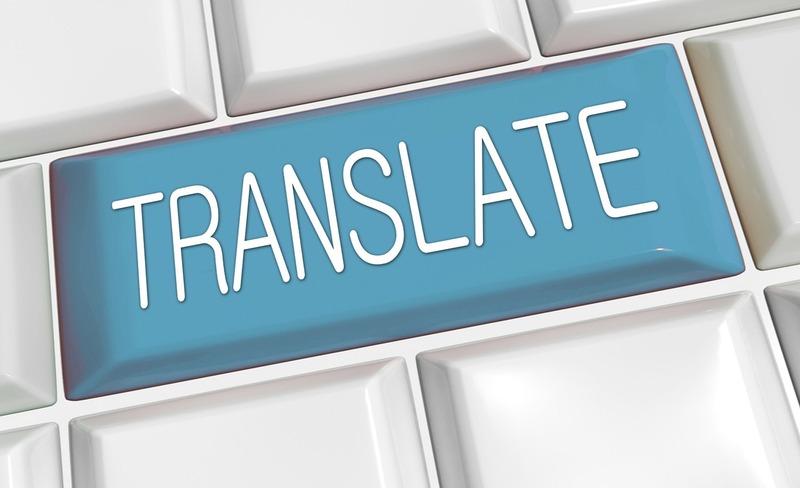 Why use these WordPress Translation Plugins? I am sharing these plugins because there are some of the plugins which I have already used and have worked well for me. These plugins can help you to get more traffic to your blog or website because you will be targeting people worldwide. What are the essential Plugins for your Blog? Some of the best WordPress commenting Plugins for your blog. The WordPress translation plugins that I have shared are good enough to use but if you are looking for the right plugin for your website then check your requirements and then choose the plugin according to it. And moreover, I would like to your experience (if any) about the plugins that I have listed, or you can also let us know in the comments which I have not mentioned, and you are using. The world is indeed big enough to contain everyone and of course no language is spared. I guess now is the time for me to consider adding some of the suggested plugins ypu’ve stated to make my site bilingual. what a great list of plugins, it is! Thanks for sharing these plugins. I am glad that my post was helpful to you. Happy to help….